Time to take a knitting and crafting break and blog! I didn't realize I was this far behind in my blog! I knew I was behind but this is terrible! I have been so busy crafting and knitting that I just didn't get to typing. Throw in a computer that blew itself up (well, not totally but you get the idea) and my days turned into weeks. Here are some of the projects that I have been working on the last while. you can wear it rolled up or down depending on the weather. This set of 3 canvas signs were for my friend's daughter's wedding in Michigan. There were little kiddies in the wedding who carried these as they up the aisle. They are a rubbed gray background, black floated around the edges and lettered with black paint. White grosgrain ribbon was inserted through holes I drilled to make it easier for carrying. When I get the professional wedding photos I will add them to the blog. Table numbers for a wedding - black bristol board with white card stock on top; I scored them for easy folding, numbers are on both sides. I used black ink for the lettering. A family sign....I did an antique rub on the canvas and and made the lettering with my Cricut machine using colored cardstock. The hearts are scrapbooking paper cut with the Cricut. It has been varnished to seal and protect it and hung a little hanger on the back. Using soft baby yarn, I knitted this hoodie- it can be worn up to cover the ears or down as a cowl scarf. Table number for a wedding. The Mason Jar will be filled with some beans or rice or stones to hold the stick. It is a tongue depressor with raffia tied on it; the numbers (both sides) are done with ink on cardstock. Yellow baby blanket; acrylic...one of my favorite patterns. Baby blanket, acrylic; using larger needles. Cowl/infinity knit with orange acrylic yarn. Purple cowl/infinity knit with purple acrylic yarn. Aqua cozy cowl - wear it up or down! Acrylic yarn. Reclaimed wood sign....I attached three planks together to make a sign board. I painted the lettering (wedding info) and lightly sanded the paint to distress it. The nail holes and some of the rusted nail heads remain. I have attached a wire loop onto the back and tied some raffia on it. Super soft baby blanket I made for my new little neighbor. Long scarf made with pink acrylic yarn on large needles to make it have a lacy feel. 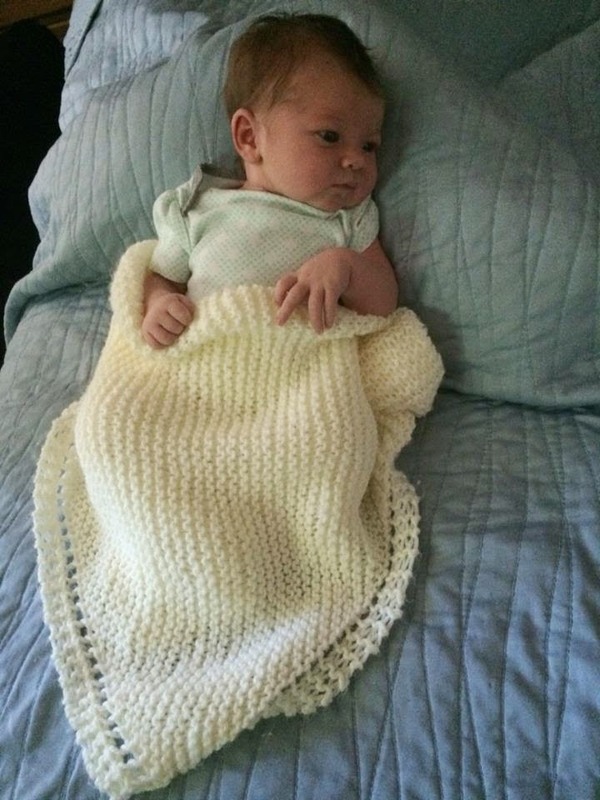 Ivory baby blanket made for (and modeled by) the newest member of our extended family. Cowl made with multi- colored yarn. Baby's room canvas - canvas board, basecoated with acrylic paint; taped off the borders then stenciled the checkerboard. Painted Tigger and put a quote from AA Milne. I put a coat of varnish on top then drilled two holes to insert the wire for hanging. Topped it off with a green grosgrain ribbon and it was ready to hang. 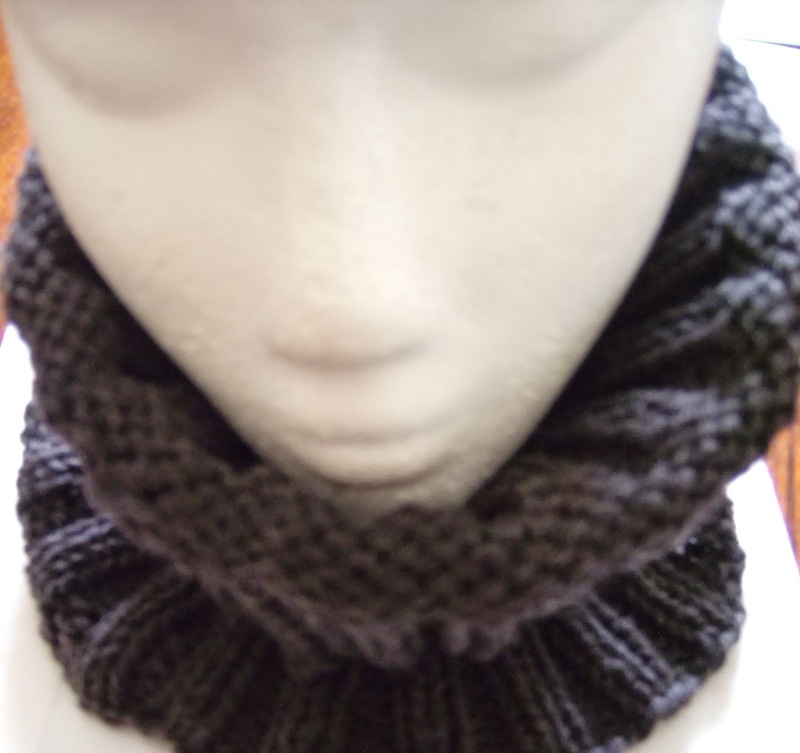 Charcoal gray cozy cowl. Wear it up or down. It is a donation for a silent auction for an event in October. Baby canvas - acrylic paint on canvas with an AA Milne quote. Hook on the back. Purple ombre cozy cowl - used two shades of purple yarn to fade into each other. I think I am about caught up for now. Thankfully I had backed up my photos onto a disk before the big crash. I will be adding more projects periodically to share with you.